I got my Last 2 Projects done for Camp Create! YAY! 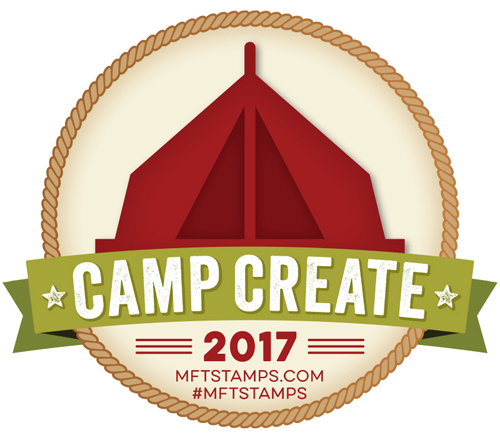 with the MFT Stamps Blog... Talk about some Challenges! I haven't had time to stop by all my favorite blogs this past week! I honestly think this Shaker card is adorable! AND Super easy to make! So someone will probably have a smile on their face when they get this! Make Sure to check out my other post below this one! Adorable shaker card!! Love all of the colors! I'd have never thought to use tulle, and it looks great! Looks like a screened window. I love the little bear. Oh my goodness!! This is too stinkin' cute! Love the tulle shaker! ❤️ ❤️ ❤️. What a SUPER CUTE shaker card!! Love the adorable bear!!! Have a great day. Super cute and I am going to check out that video! You have been a super busy lady these days! I am loving this sweet little shaker card. The colors are so bright and happy and that little birthday bear just makes me smile. I've yet to try the tulle shaker - got to give it a go because it looks sooo cute! Adorable card! I just love the shaker design! The little bear is absolutely adorable! I will definitely have to check out the video for the tulle shaker! Your card is so CUTE! I saw Jennifer's video a while back, but have yet to make a shaker card like that. It would be in my best interest if I did so because I have yards of tulle and not a lot of acetate left LOL! This is such an adorable card and I love the colours! Love how you used the tulle too! I never would have thought of that and I have lots of it! LOL! Love the tulle shaker! I'm wanting to try one of these! Love yours... adorable and colorful! Oh Theresa what preciou card. Love the papers, the adorable bear and sentiment. Thanks for the the tip on using tulle for a shaker. A must try.